These are definitely challenging times for leaders of all types of organizations. As I have met with C-suite leaders over the course of this past year since becoming Dean at Villanova, I have heard time and time again about how their role has increasingly changed so that now they feel they are being asked to “weigh in” on events in the news on a regular basis. Very different from years past, where they weren’t even asked about political issues or asked to take a stand. It does highlight that leaders are always visible to those around them. This means that their values and positions on everyday issues are being watched much more carefully than in the past. Once we move into a leadership role, our comments and behaviors are now under observation – who you talk to, how long you talk to them, what you talk about, what behaviors you respond to or ignore – all of these things are being observed by your employees or others. And, with the fast pace of social media, many more individuals can “tune in” to what you espouse. This loss of privacy can be overwhelming to some leaders and they may have trouble remembering that they are under a microscope. *This is a major opportunity to make a positive impact! The good side of this enhanced visibility for leaders is that it means that all of us as leaders have an opportunity each and every day to let others know what we do stand for, what our values are, and what we believe. Our opportunity to take a stand and make a significant positive impact is there for us. More than ever before, we now have a forum so that we can use our increased visibility to take a stand on social issues and push for a more civil, inclusive and better society. Let’s remember that with our increased visibility comes an obligation to do and say the right things for all people. 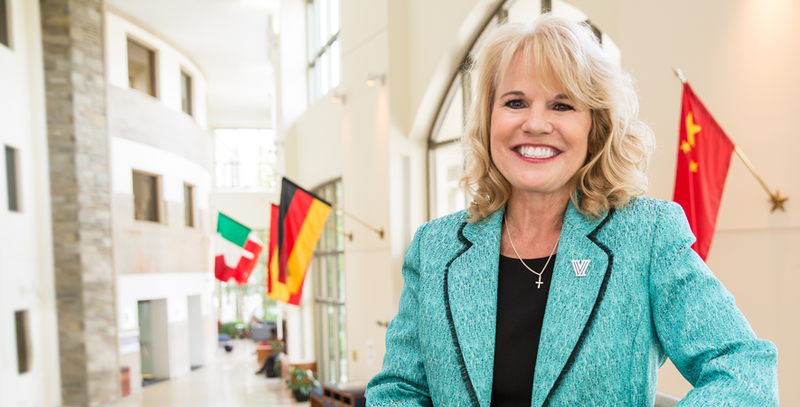 Joyce E. A. Russell, PhD, is The Helen and William O’Toole Dean of the Villanova School of Business (VSB). She is the chief executive, academic and fiscal officer for VSB. Love reading your stuff and passing it on to my colleagues. Thanks David! Great to hear from you. Hope all is well at ECU!